Set against the backdrop of 1930s Shanghai, Little Tiger (Yuen Biao) moves from the countryside to the big city in search of his older brother Big Tiger (George Lam), an honest cop working in a corrupt system. 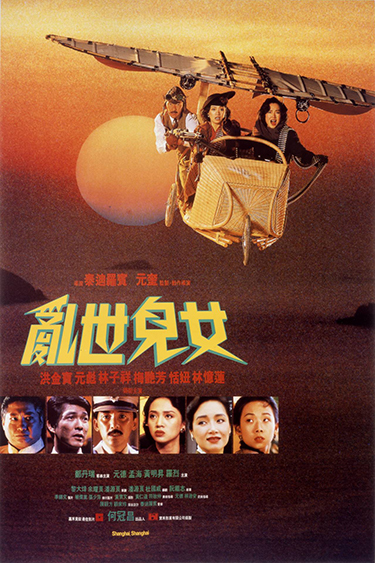 Big Tiger is involved in a love triangle with Mary (Anita Mui), a Chinese revolutionary and Ting Ting (Tien Niu), a Shanghai socialite. Meanwhile, Little Tiger finds himself mixed up with a criminal organization led by local crime boss, and Godfather to Mary, Chin (Sammo Hung). Conflict arises and loyalties are soon tested when a large amount of money is stolen from the revolutionary fund. As a result, Big Tiger soon finds himself torn between the love of his girl and his orders to arrest all revolutionaries, while also being pit against his brother who is on the opposite side of the law.